There are many aspects of running a rescue, having an adoption program and engaging volunteers that are complicated by not having a designated location. 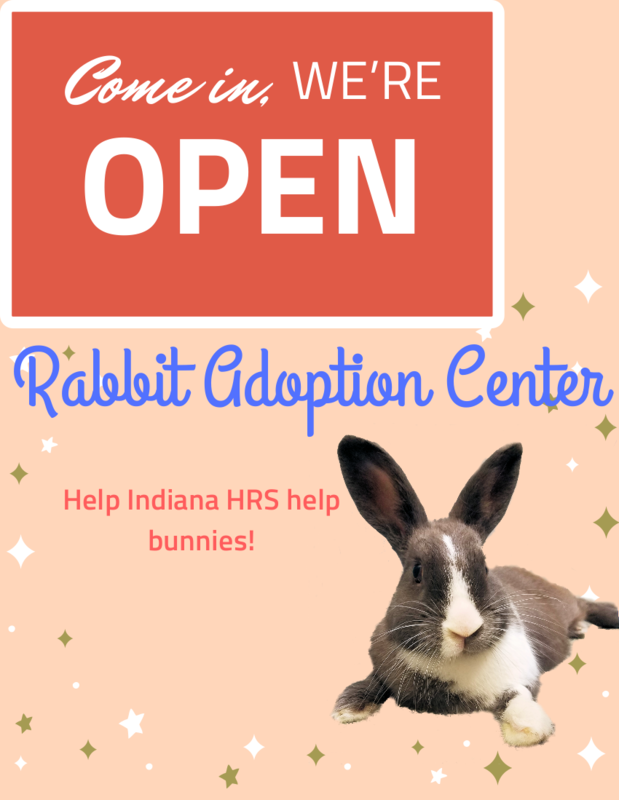 We've always chanted the mantra "someday, when we have our own place ..."
The pilot Rabbit Adoption Center is centrally located near downtown Indianapolis with easy access to I-65 and I-70. 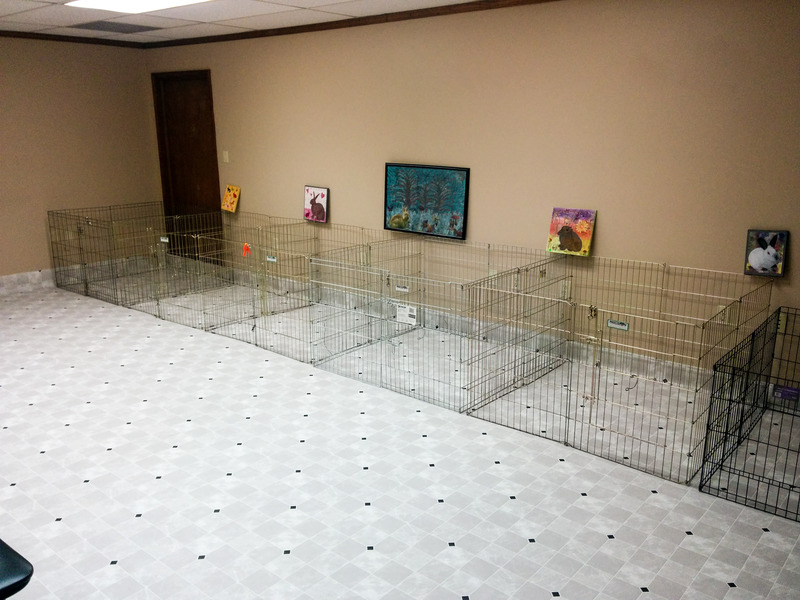 The space will accommodate at least 6 bunnies who will live there in nice ex-pen setups. 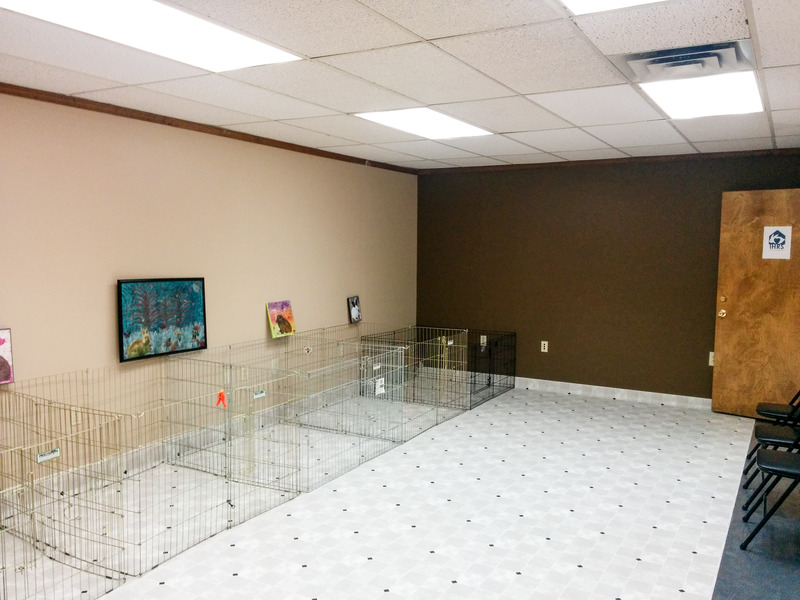 There will be an area for "out time" so bunnies can get lots of exercise and explore. We intend to build up an inventory of bunny supplies to sell including hay, toys and treats. With the space, we have access to larger common areas where we can host events. This is a huge endeavor for us and we need your help! We need donations of money to help us pay rent and purchase the things we need to get the space up and running, such as flooring, ex-pens and other items. We need donations of items and supplies that we will need now and for ongoing operations, such as trash bags, paper towels, vinegar, and other items. And we will need donations of time to help set the space up, move the bunnies in, develop systems and procedures, provide bunny care and lots of other tasks. The easiest and most effective way to donate is by helping us fund the adoption center. We have startup costs and then will have ongoing operational costs, such as rent and supplies. Donating to our GoFundMe is an easy, direct way to make a huge impact. These items do not need to be brand new, but must function. View our Amazon Wish List for several additional items we need, from exercise pens to toys. We need your help! Come be a part of the start of something great! We want to sincerely thank each and every one of you for your help and support. Realizing this dream could not have been possible without your generosity and compassion. 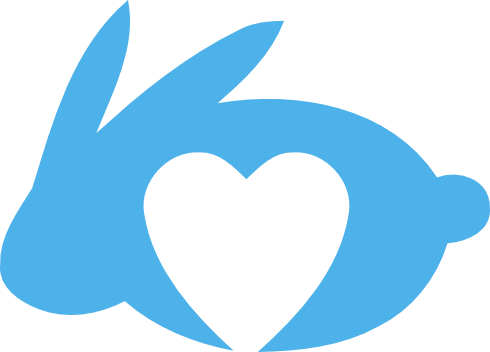 You have enabled us to realize this dream and further our mission to continue to improve the lives of domestic rabbits in Indiana. We could not have done this without you. You are Team IHRS! !